The Cities Collective is a collaborative partnership between Future Cape Town and Urban Times. Working across platforms and across countries, the Cities Collective seeks to create a platform for the discussion, investigation and exploration of cities and urban life around the world. Councillor Brett Herron is the Mayoral Committee Member for Transport in Cape Town. Rashiq Fataar: How would you describe the current state of transport (not only public transport) in Cape Town and the Western Cape ? Brett Herron: The City and Province are blessed with fairly decent major roads. Within the City there is a growing backlog of road capacity, leading to severe congestion, in some of the development and growth areas. Residents are already experiencing the bottlenecks and although we are prioritising public transport over private cars there is still a need to address these backlogs. With regards to public transport in the City there is quite a lot of commuter transport available in the morning and evening peaks however the network and the services are fragmented, misaligned and competitive between modes and between operators. The service is largely operator focussed instead of commuter focussed. There is insufficient off-peak service and there is a need to improve coverage and quality. RF: What are some of the major and most important transport developments and changes which will move Cape Town forward the in the next year? BH: The starting point must be the resolution of the structural problems that reinforce the fragmentation. We have already taken the first step to resolve this when we established our transport authority, Transport for Cape Town (TCT), last year. We have spent the year restructuring the old Transport Roads & Stormwater directorate so that TCT will be able to function and fulfil its mandate. The establishment of TCT, the approval of the TCT By-Law in August, the adoption of our new Integrated Transport Plan (due to go to council in December) has put us in an excellent position, and relatively quickly, to start tackling the fragmentation I referred to. During the next year we expect the national government to assign the contracting authority function to us – this will put us in a position to manage the Golden Arrow Bus Services (GABS) contracts and integrate the GABS service in order to create one network. We also expect the national government to assign the regulatory function to us – this will place the public transport licensing function under our authority and thus allow us to start managing the routing and licensing of mini-bus taxis and will allow us to fix the metered taxi service. Assignment of these functions will also allow us to start integrating ticketing and timetables (One Ticket. One Timetable) and will allow us to start integrating branding so that our residents and visitors start to see the transport network as one network and one service. Of course over the next year we will continue to roll out the remainder of Phase 1A and 1B of the MyCiTi service and by the end of October next year the whole of Phase 1 should be completed and operational. Early next year we will be able to announce our high level plans for the first milestone in Phase 2 (being the BRT trunk route between the metro South East and Claremont / Wynberg. Thereafter the detailed planning will commence and construction tenders will be awarded by the end of next year / beginning of 2015. We continue to work very closely with the Passenger Rail Agency of South Africa (PRASA) and Metrorail and in the coming year we should be in a position to jointly determine the City’s future role in the management of commuter rail services within Cape Town. RF: What do you consider to be the biggest success so far for Cape Town and the transport investments and decisions made in the last few years? BH: The establishment of a NLTA compliant transport authority and the approval by council of our application to national government for the assignment of the functions I mentioned. These steps will ultimately be seen as the catalyst for a fundamental change to public transport in Cape Town, and perhaps beyond. The conclusion of negotiations with the affected taxi and bus operators in Phase 1 of the MyCiTi. The fact that we were able to reach agreements on compensation and the 12 year operating agreements will lead to the industry transition much spoken of over the past few decades but never achieved. The roll out of a successful BRT service and network and the very clear public appetite for a decent, frequent, predictable and safe public transport service. RF: Do you think we need to re-think the entire transport network and make bold changes and interventions rather than building along the same routes and grid that has been a legacy of apartheid planning? BH: The public transport network needs to provide coverage that will at least provide access and mobility to the majority of our residents within 500m of their homes. Where there are gaps and missing links our network plan needs to address these. We are adopting a hub and spoke model with the objective of reaching the vast majority of our residents through the spokes which will connect them to a hub which will provide access to a mass rapid transit mode (either commuter rail or BRT, at this stage). GABS has a fleet of well over a thousand buses. Over the next few years we will integrate and align the scheduled bus service so that we improve coverage and connectivity using this hub and spoke model, largely. In addition, the MyCiTi BRT will provide extra capacity and new hubs to which services can connect. I am all for bold interventions – but we are not looking to be bold for the sake of it. We are willing to take bold steps to put in place a sensible, sustainable service. RF: What is the biggest challenge ahead as Cape Town aims to move towards an integrated transport network? BH: There are a number of challenges that we will have to deal with. Amongst them is the potential for resistance from some current operators with vested interests in maintaining the prevailing model which favours operators over commuters. Another big challenge is whether the pace of funding for the overhaul of our public transport network and service can keep pace with the demand for decent public transport and with the time-frame we would like to work to. I would also add the challenge of private, mostly single-occupancy, care users resisting the prioritisation of public transport – we are already seeing some who complain about prioritisation of traffic signals which disadvantage private car users and we are seeing car users occupying MyCiTi bus stops as extra parking! RF:. What can citizens do to play a role in the conversation about improved public transport in Cape Town today and into the future? BH: Quite simply, enter the dialogue. Tell us what you want from a public transport service. Use the service and give us feedback. 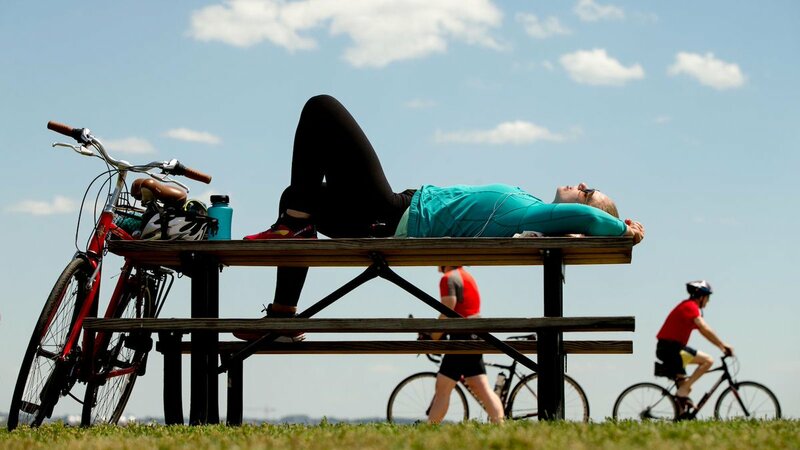 Has there been any thought as to integrating bicycles into the public transit network? This could be done for example by installing bicycle carriers at the front/back of the myCiti buses and creating a section at the back of the train where bikes can be stored. Both of these systems work quite well overseas and provide commuters with extra options for filling in the gaps in transport networks. 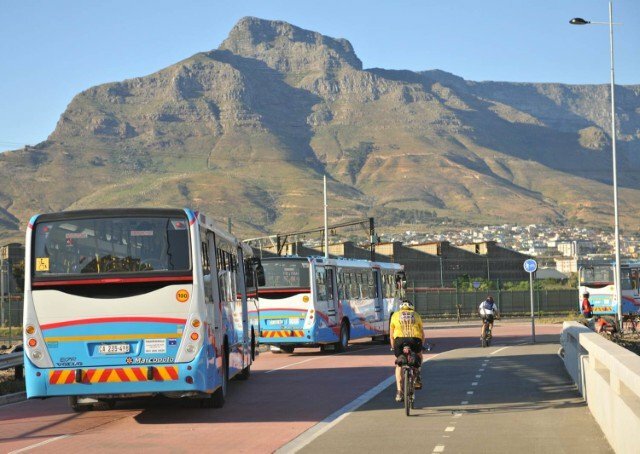 Currently you can take you bicycle for free on any MyCiTi bus. With regards to trains, the do allow taking bicycles on the Southern Line during off-peak periods for an additional R20. I believe they just don’t have the capacity as of yet. Sure it will change when new trains/rolling stock arrives from 2015. Thanks for the helpful info. Great to see such improvements happening!